Dr. NATERI MADAVAN, Deputy Director (Acting) for the Transformative Aeronautics Concepts Program in NASA’s Aeronautics Research Mission Directorate, presented a lecture on “The Electrifying Future of Air Transportation,” at Hunt Library Duke Energy Hall on the morning of Friday, November 16th for the 4th Annual Dr. Hassan A. Hassan Distinguished Lecture hosted by the Department of Mechanical and Aerospace Engineering. Dr. Madavan served for many years as the Deputy Project Manager for Technology for the Advanced Air Transport Technology Project in NASA’s Advanced Air Vehicles Program, and has helped manage the Project’s research portfolio to enable revolutionary improvements in the energy efficiency and environmental compatibility of future generations of aircraft. He is based at the NASA Ames Research Center in Moffett Field, California, where he is a member of the Computational Aerosciences Branch in the NASA Advanced Supercomputing Division. 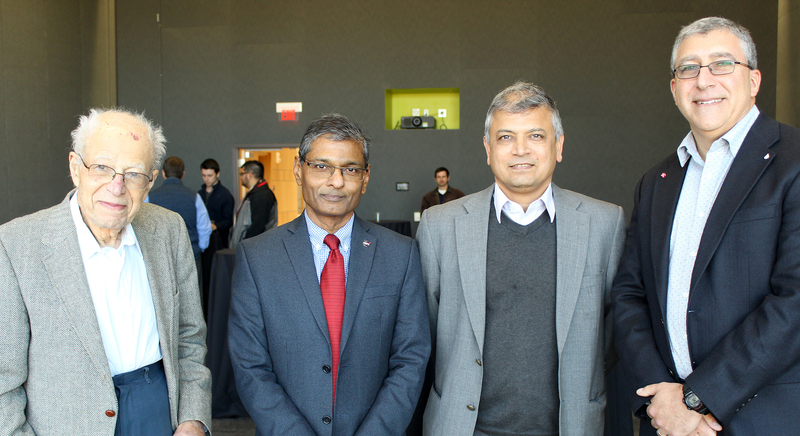 Dr. Madavan’s research contributions are in the development and application of advanced high-fidelity numerical simulation techniques for unsteady turbomachinery flows. He is a two-time recipient of the NASA Outstanding Leadership Medal, and his work also been recognized through various NASA honor, space act, group achievement, and tech transfer awards over the years. Dr. Madavan obtained his BS degree from the Indian Institute of Technology at Kharagpur, MS from Iowa State, and PhD from Penn State, all in Mechanical Engineering, and is an Associate Fellow of the AIAA. Together with new aircraft configurations and concepts of operations, these technologies will support new flight applications such as intra-urban on-demand air mobility and regional airport utilization, and will also lead to radically new large transport aircraft. These technologies are part of NASA Aeronautics’ overall research portfolio aimed at developing ultra-efficient commercial aircraft and alternative propulsion and energy systems to enable safe and sustainable future growth in global aviation. This presentation will provide an overview of how electrification will affect the future of air transportation and the opportunities and challenges that it presents, and describes some of the related concepts and enabling technologies that are currently being developed. 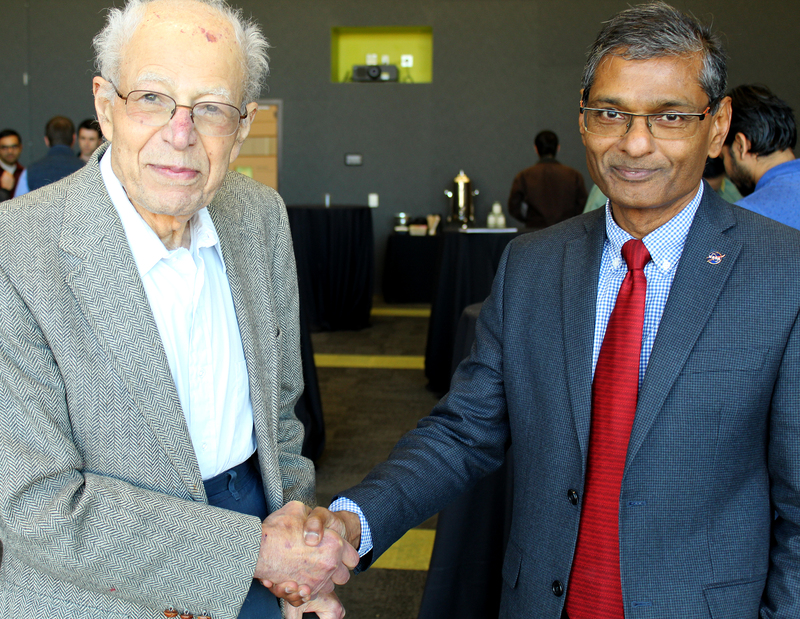 Dr. Richard Gould, MAE department head, thought of the idea for the lecture series in early 2015 as a way to honor Hassan’s contributions to the department and his impact on the aerospace program. Generous former students, faculty members and alumni established the lecture series to honor Hassan’s legacy. To help sustain the lecture, Hassan has created an endowment for $25,000 for the series. 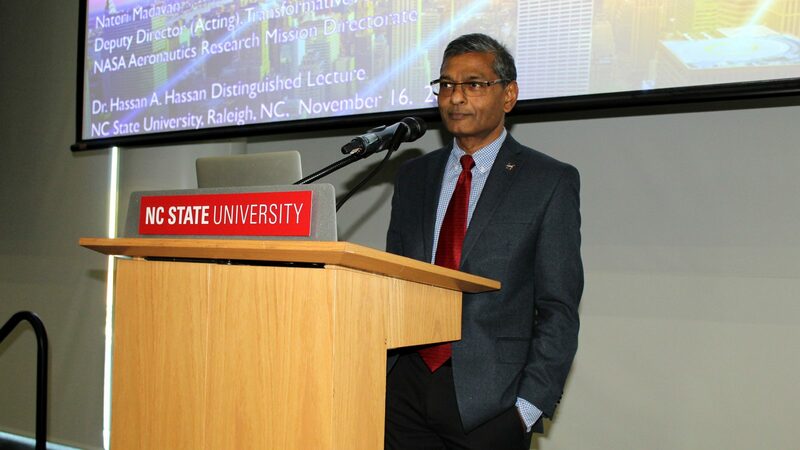 To learn how you can support the Dr. Hassan A. Hassan Distinguished Lecture, please contact Michael Walsh at mpwalsh2@ncsu.edu or 919.515.7237.